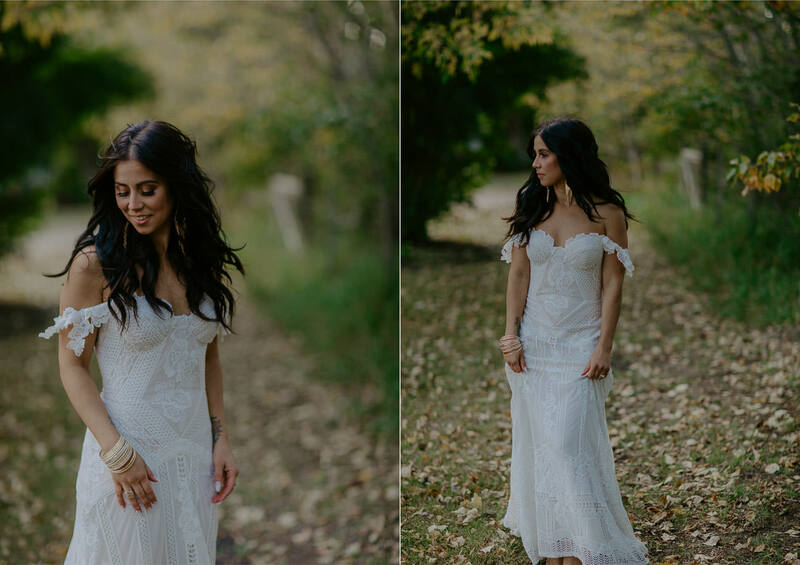 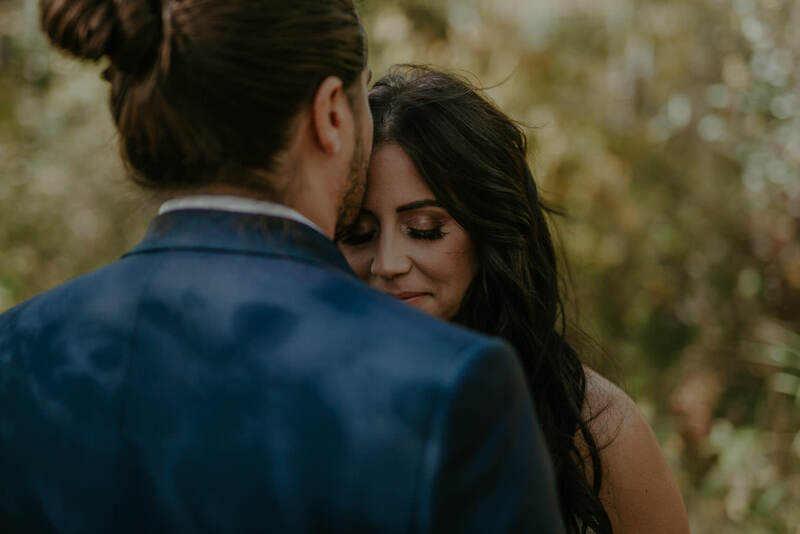 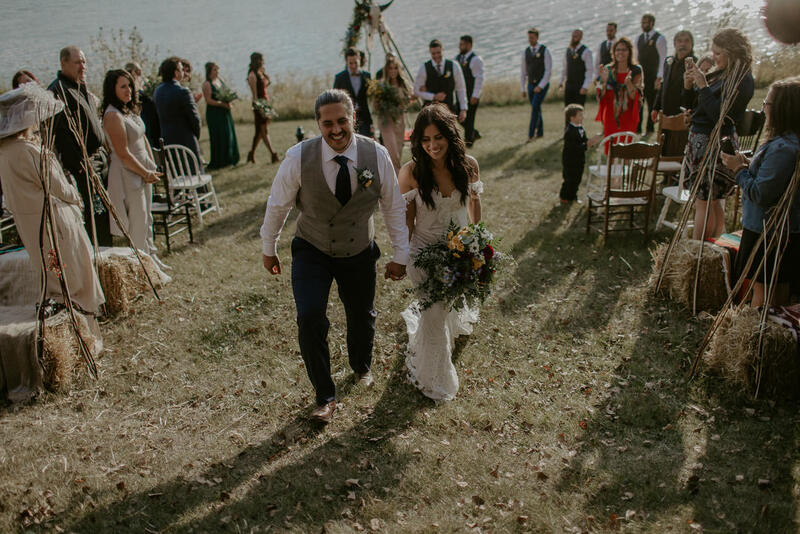 Fall was in the air, adding its changing color palette to this already stunning boho wedding. 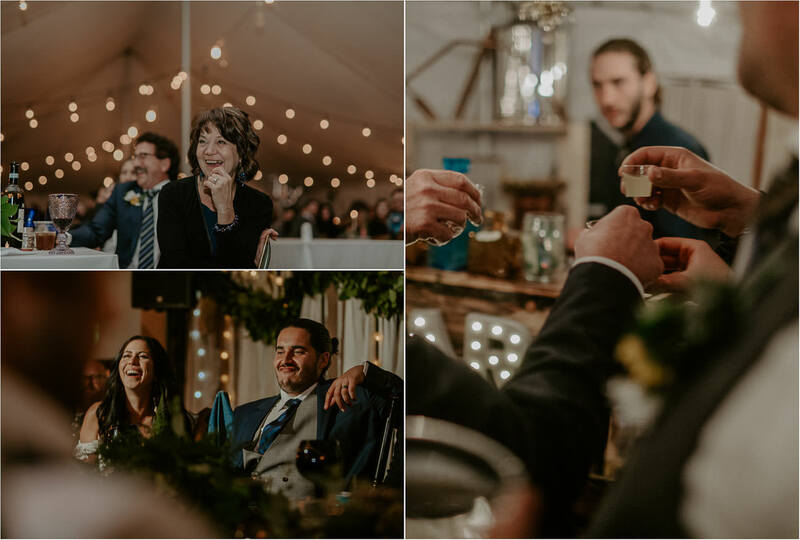 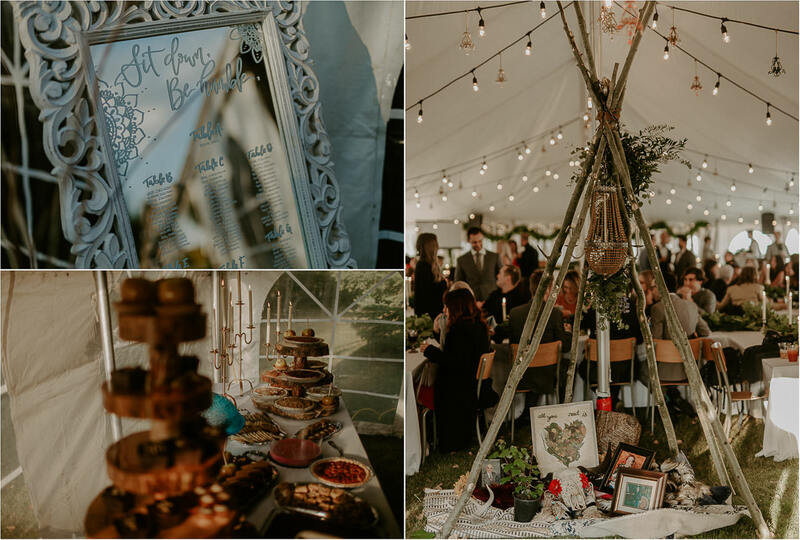 Gorgeous decor, amazing food, the liveliest guests, and the most beautiful couple. 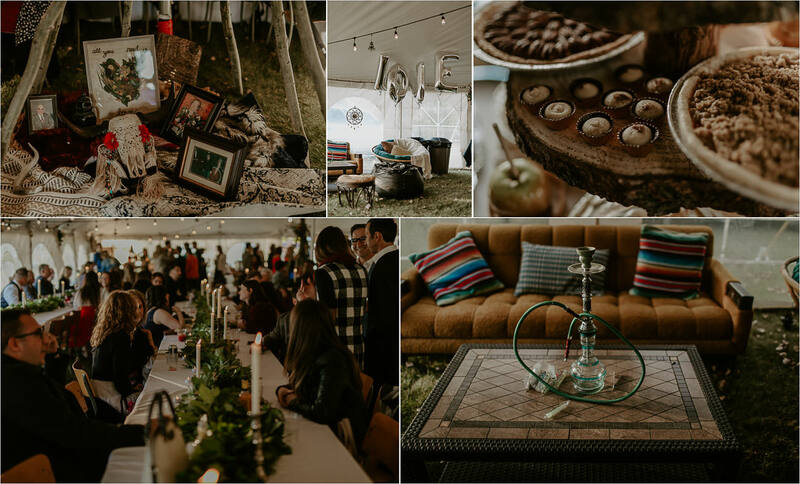 Maybe boho isn’t exactly right – perhaps eclectic is a better description. 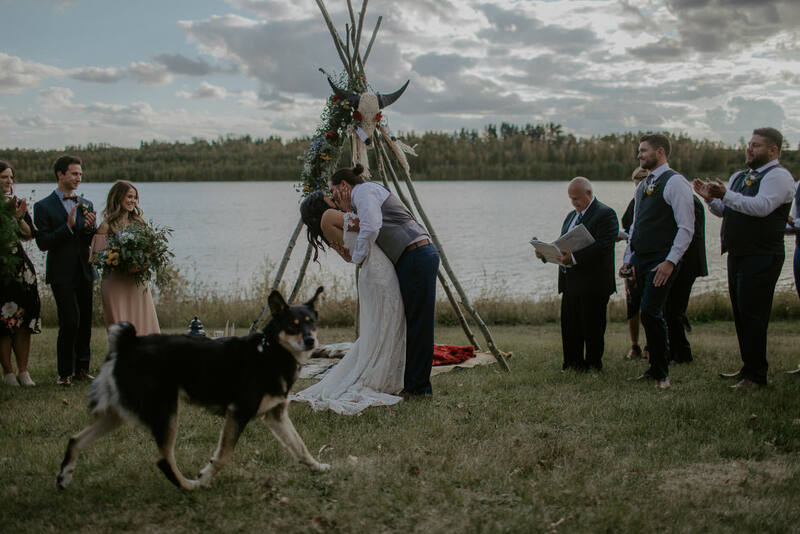 But whichever word you use, this was a wedding to remember. 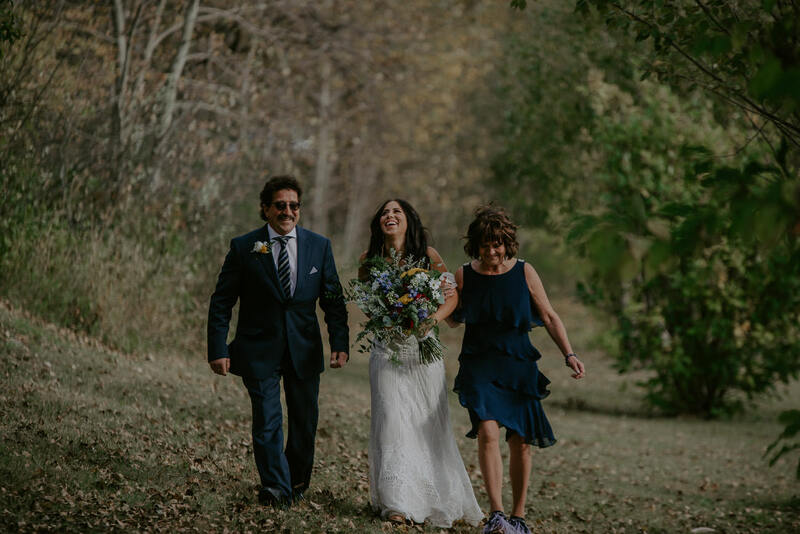 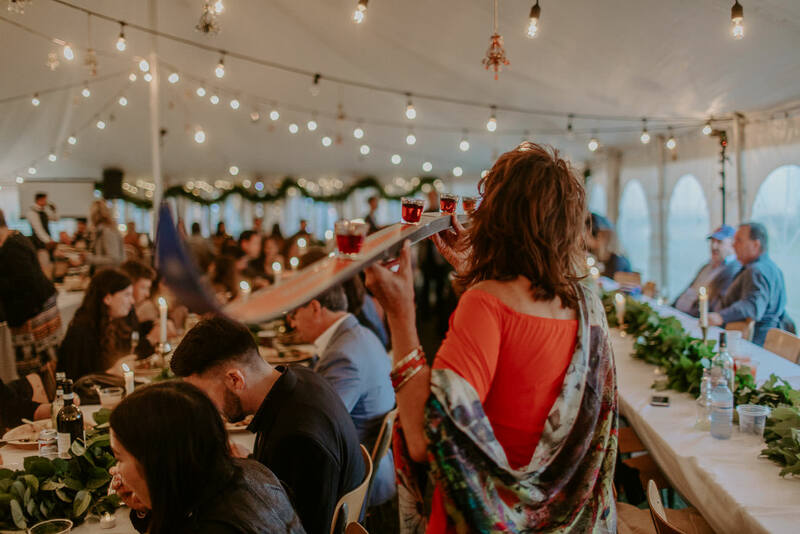 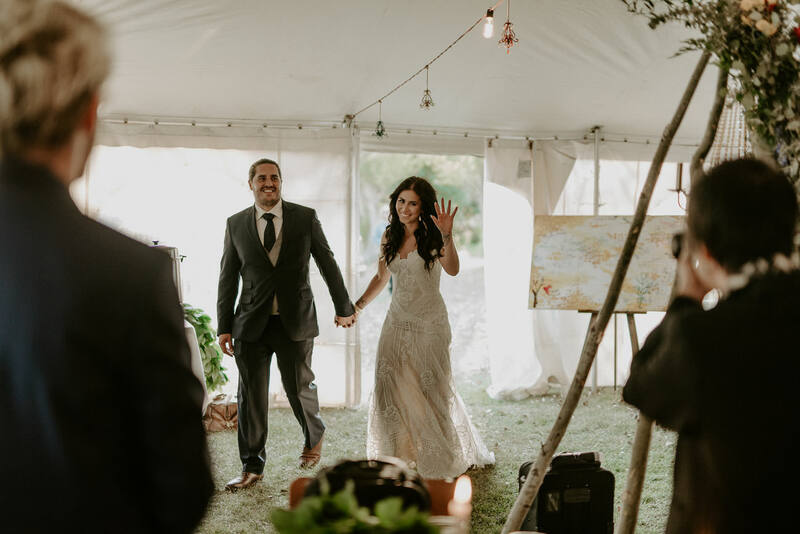 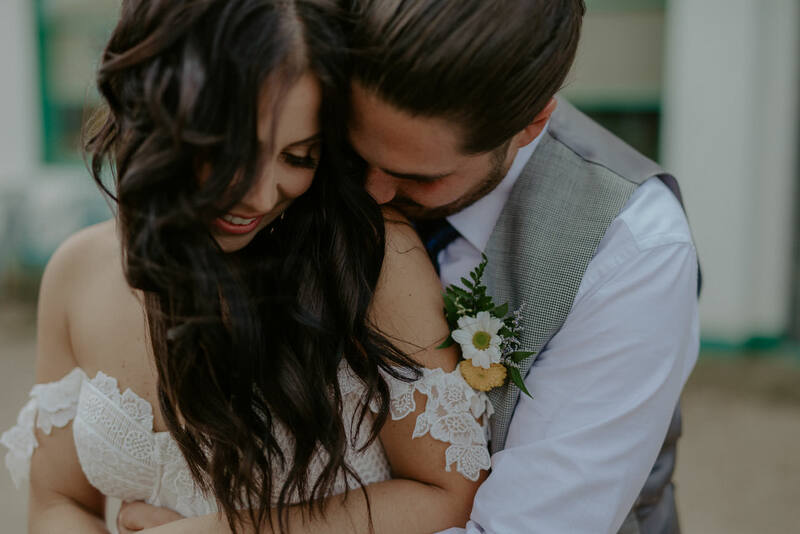 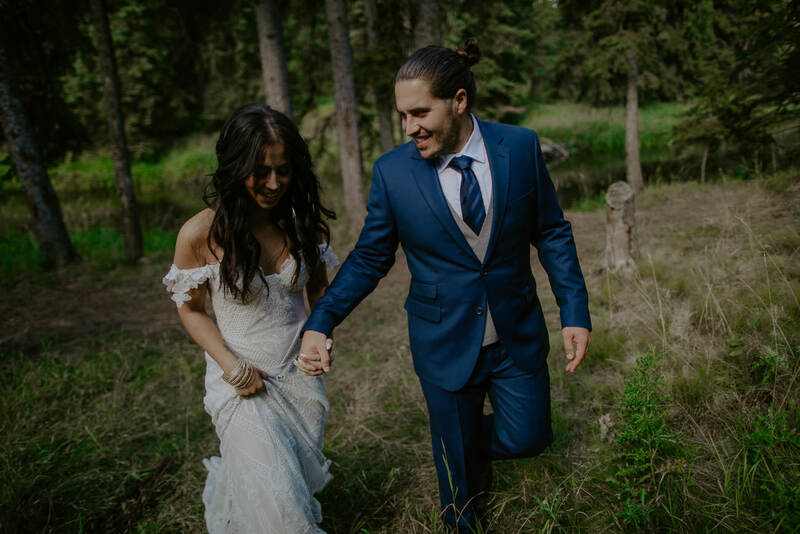 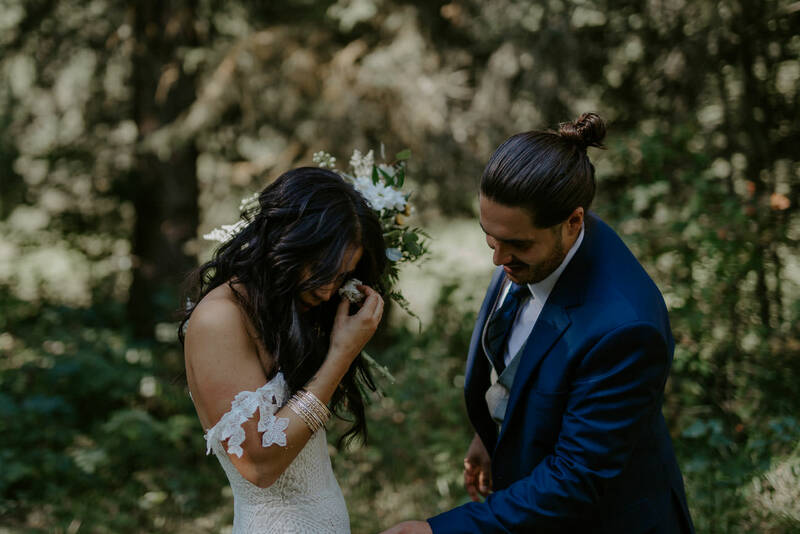 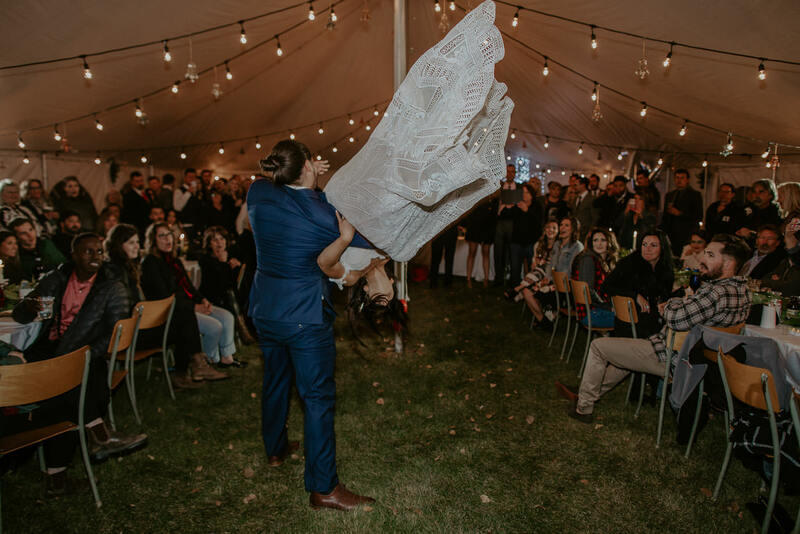 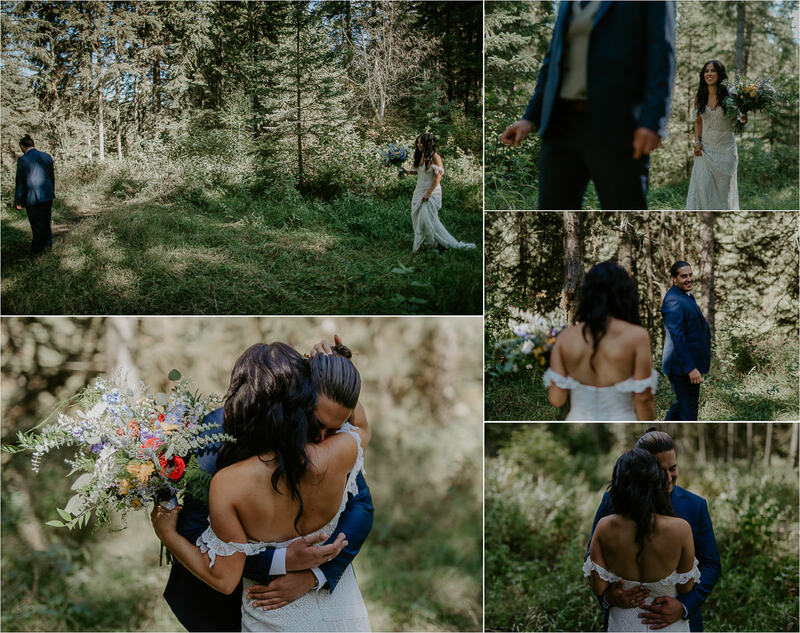 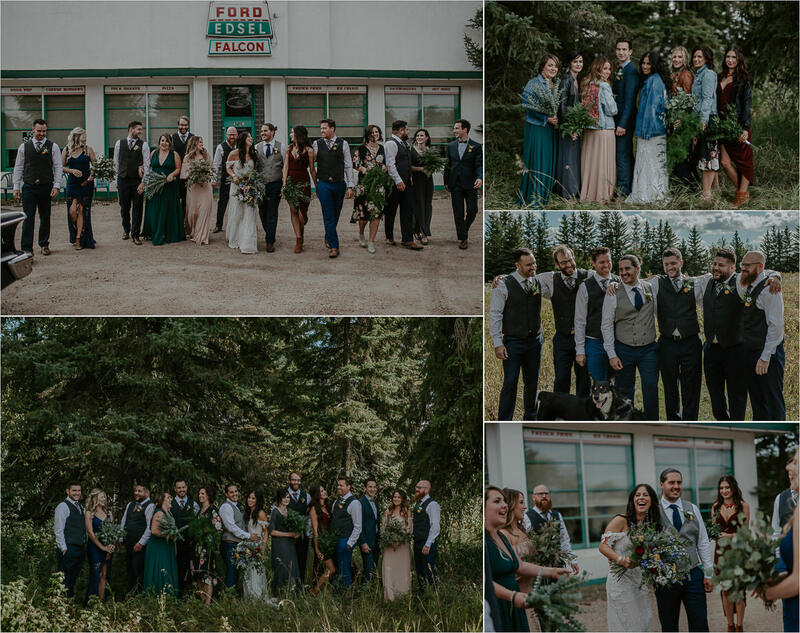 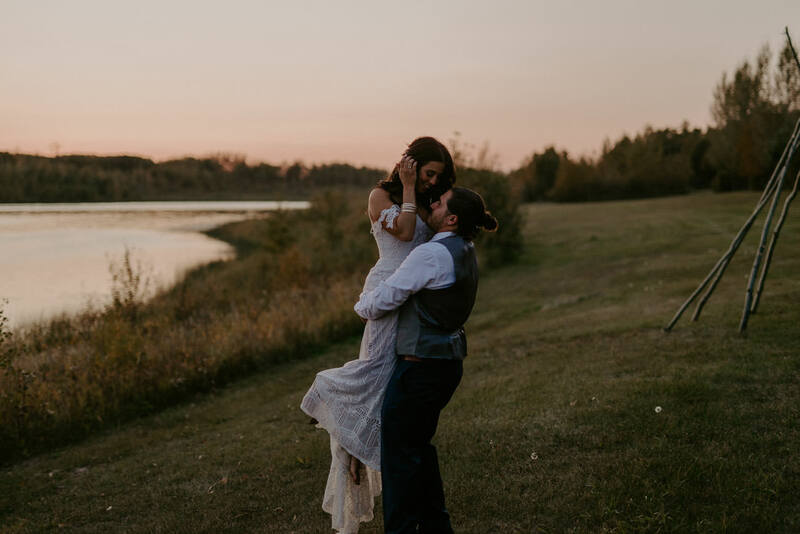 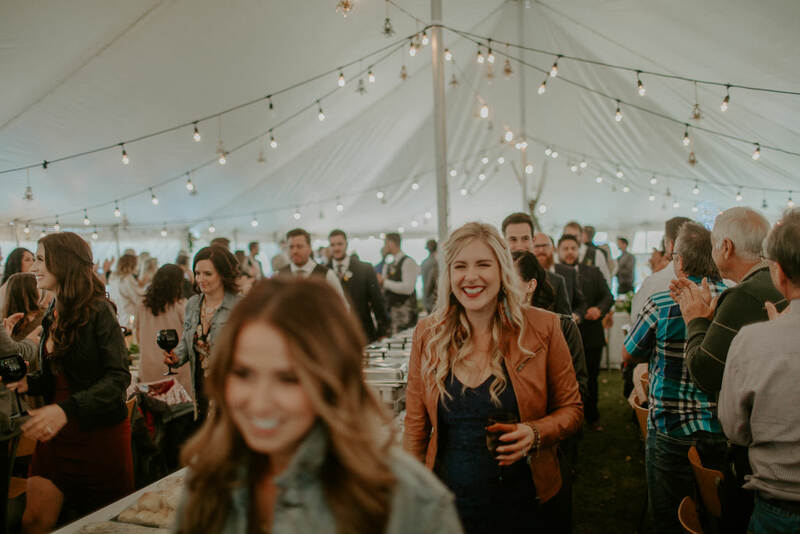 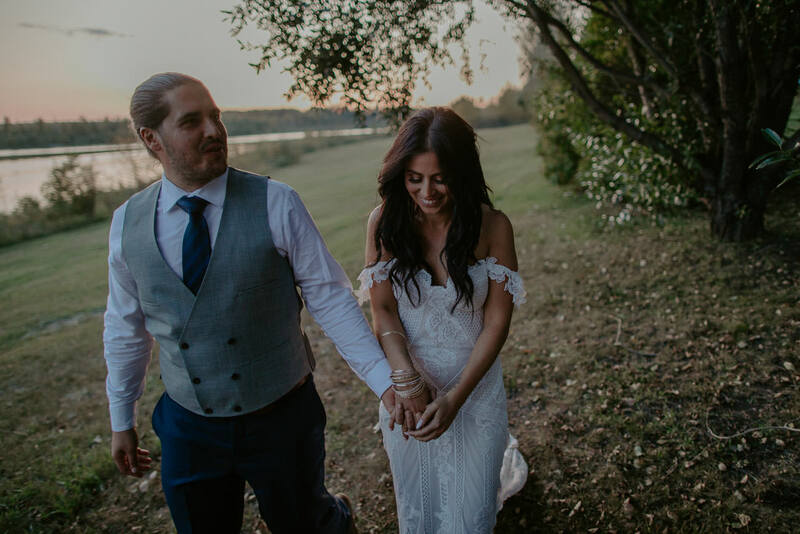 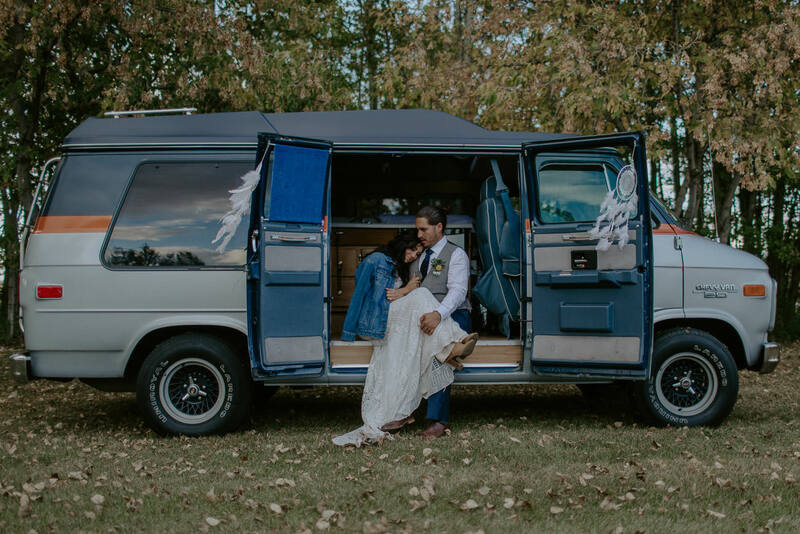 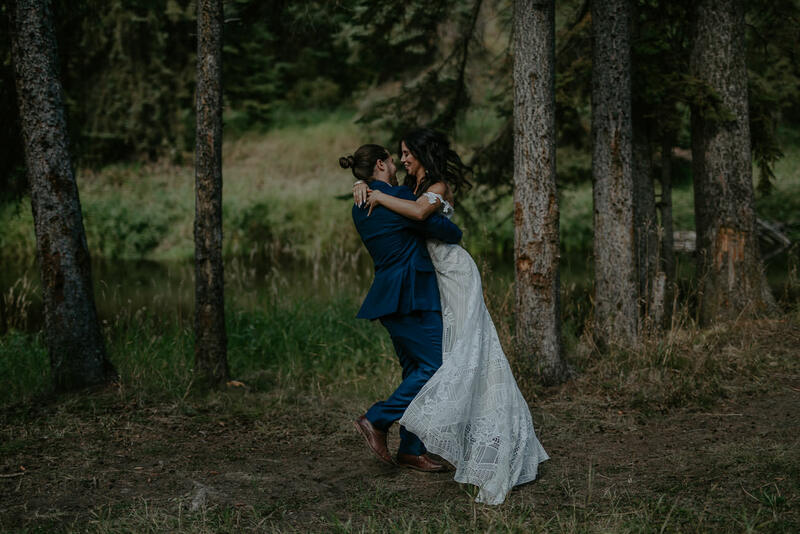 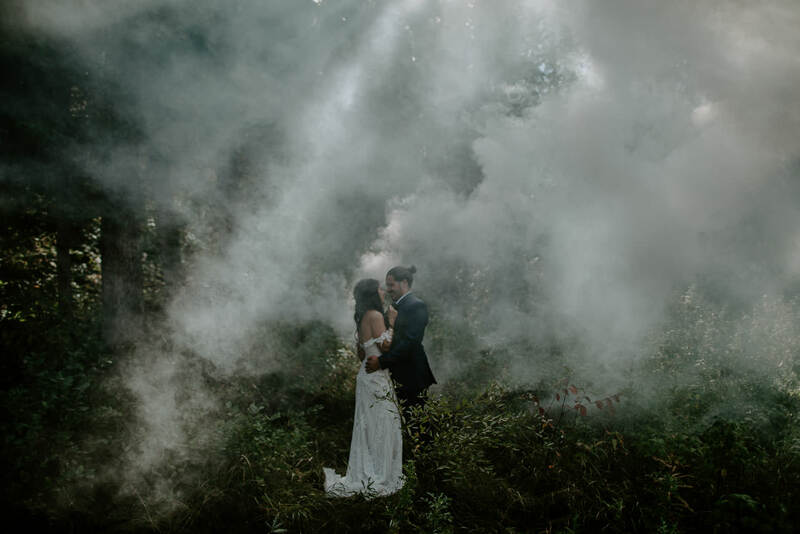 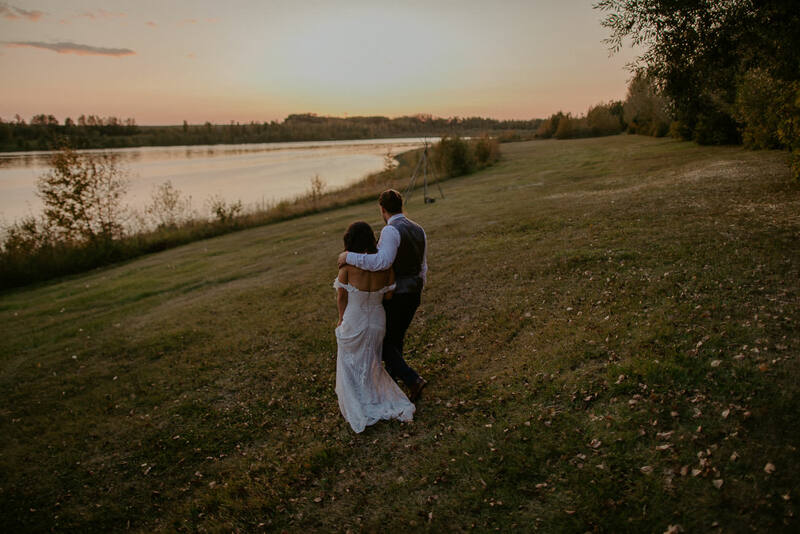 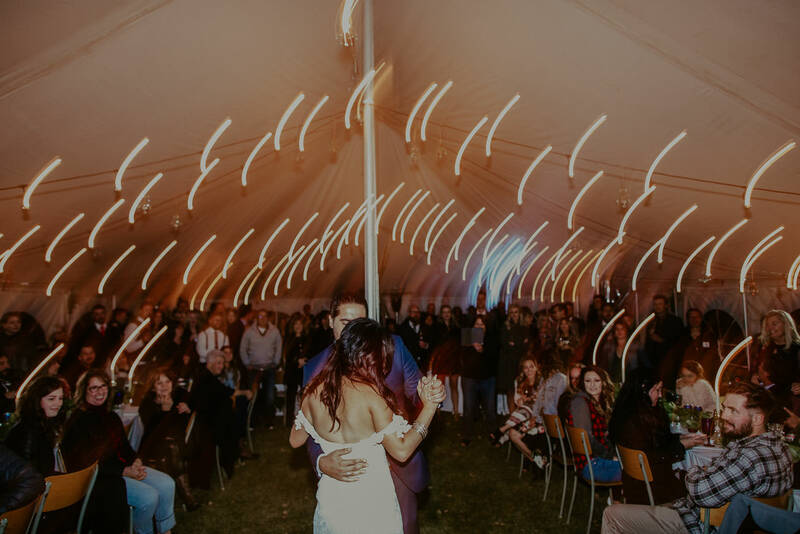 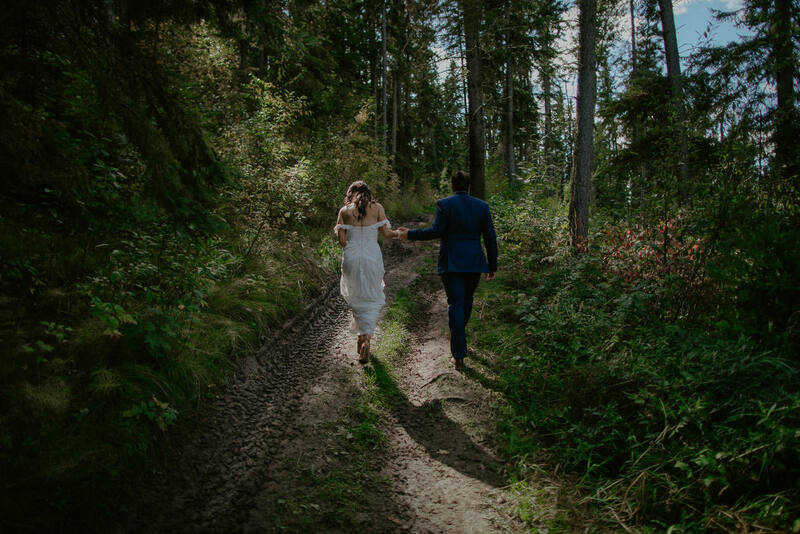 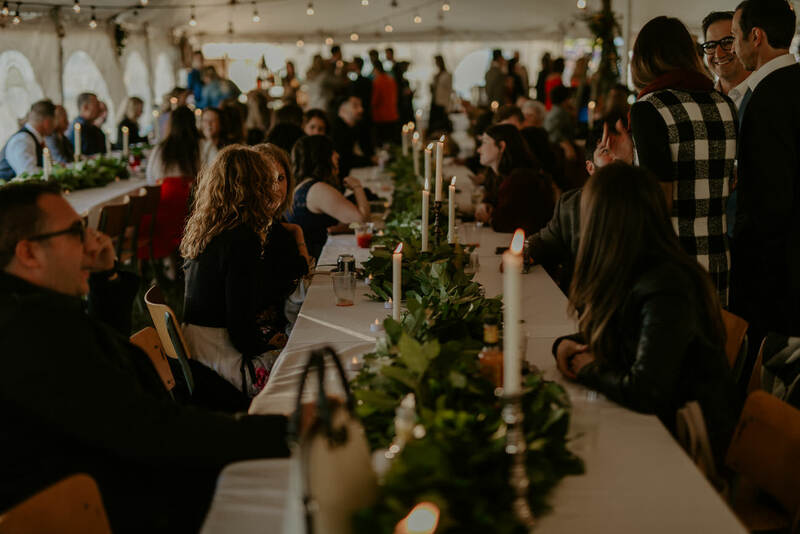 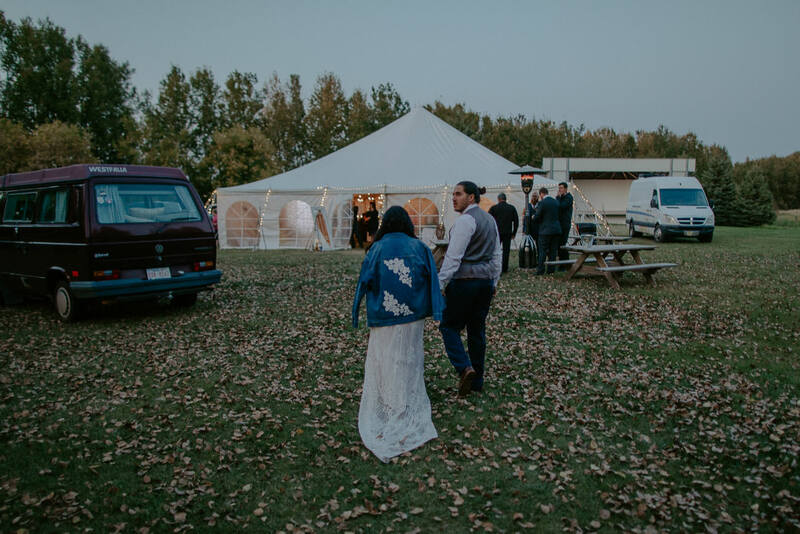 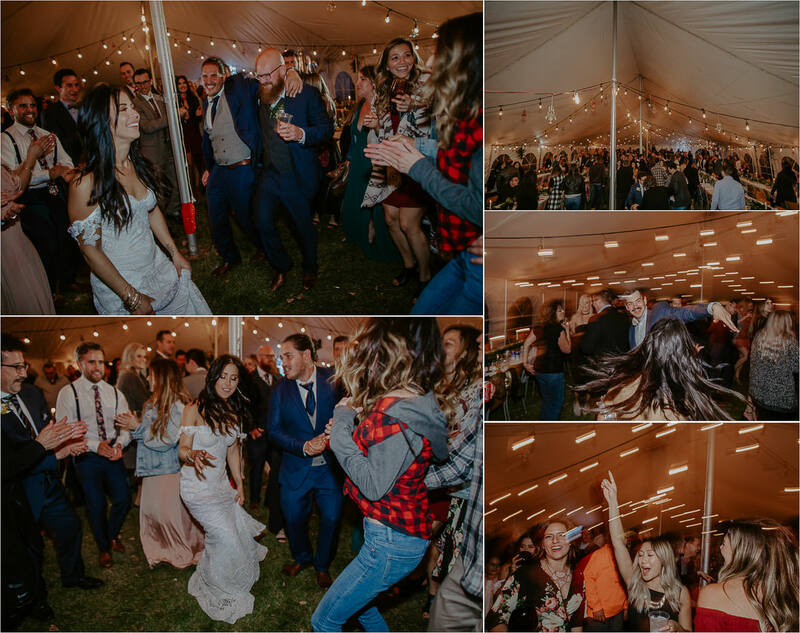 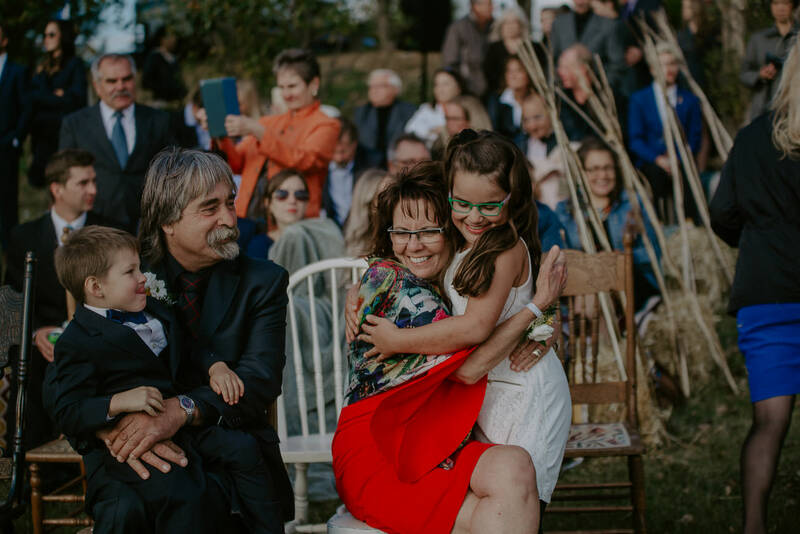 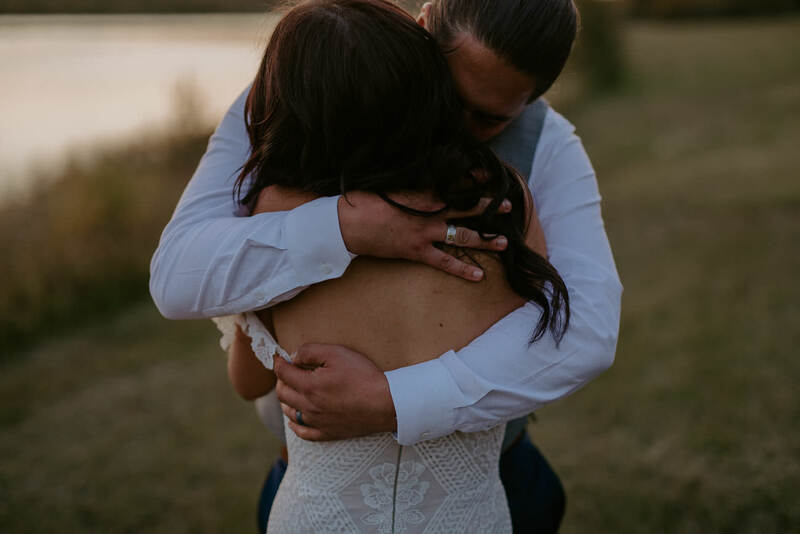 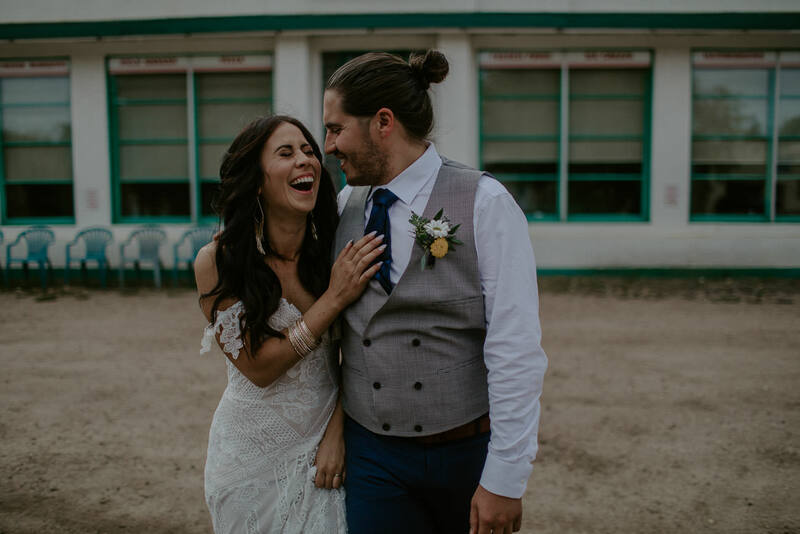 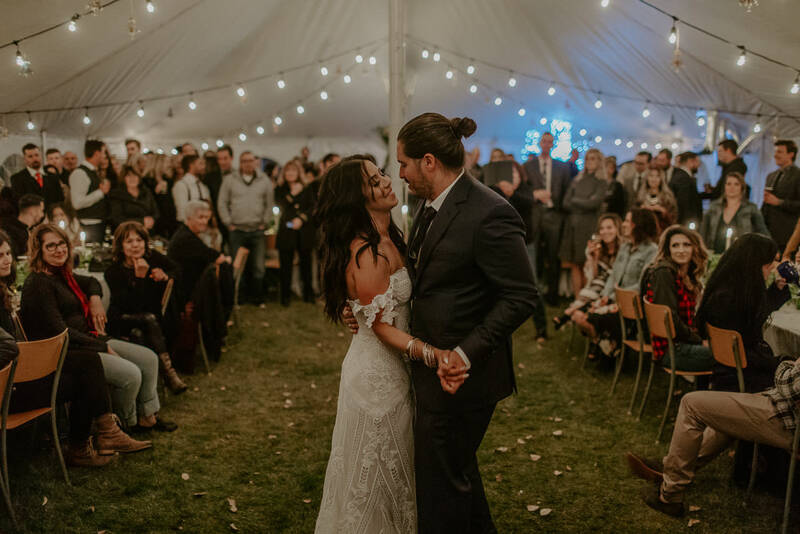 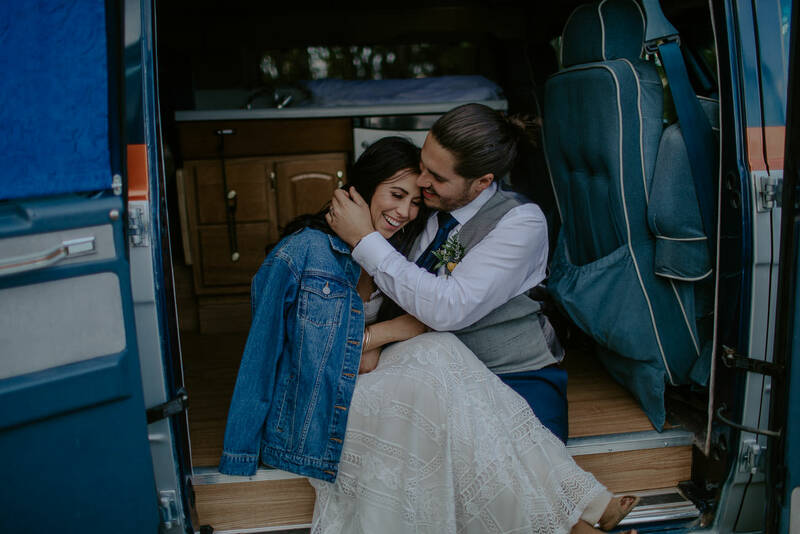 For Jacinta and Kyle, their plans were simple – an outdoor celebration with an emphasis on environmentally friendly choices, thrifty decor, lots of nature, and bringing together their large Ukrainian and Italian families. 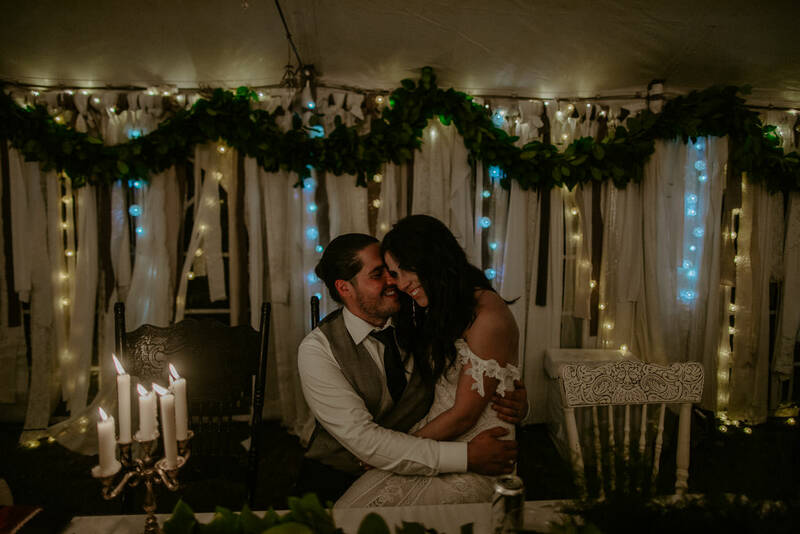 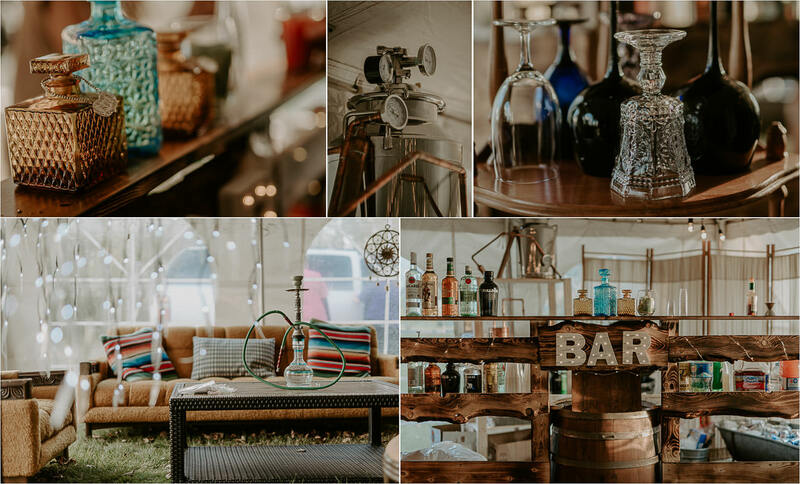 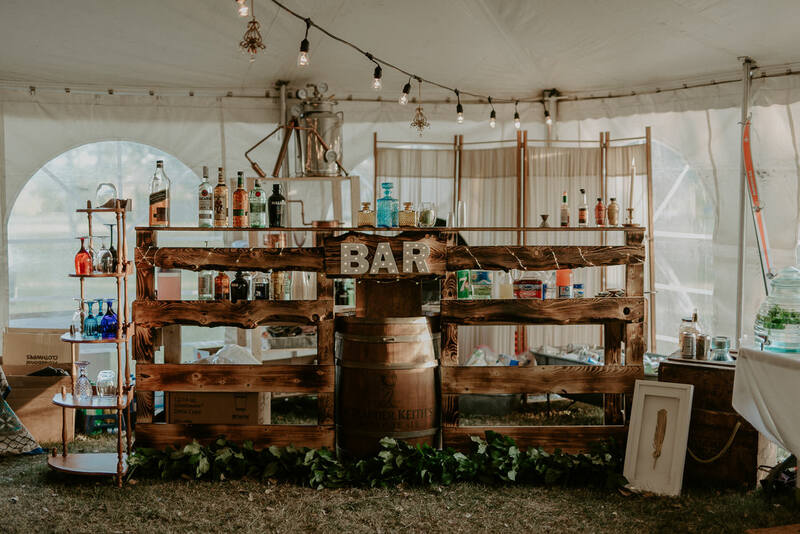 Their decor, sourced from garage sales and local second hand stores, added a cozy retro living room feel to their tent reception. 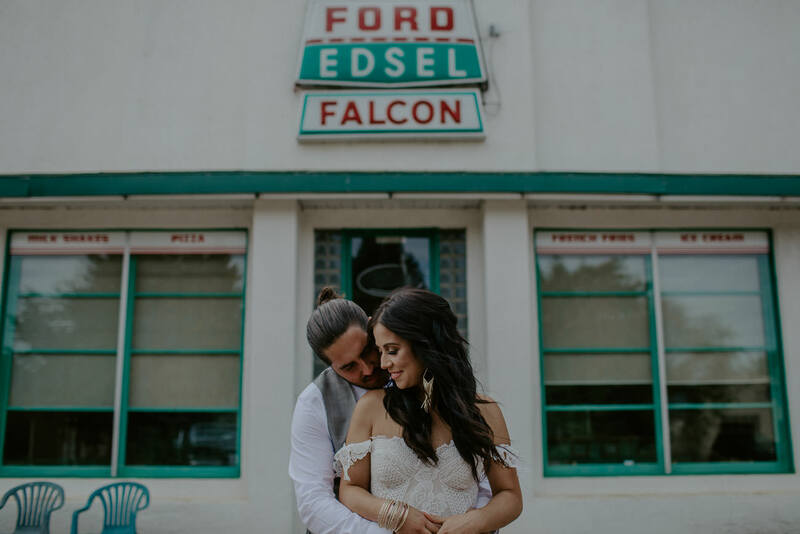 They chose in season, locally sourced items for their menu. 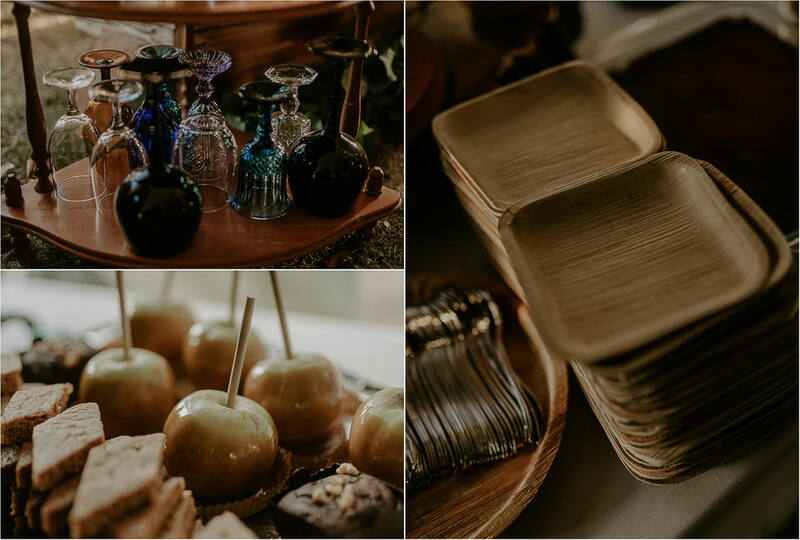 And they served the meal on recycled and compostable wood plates. 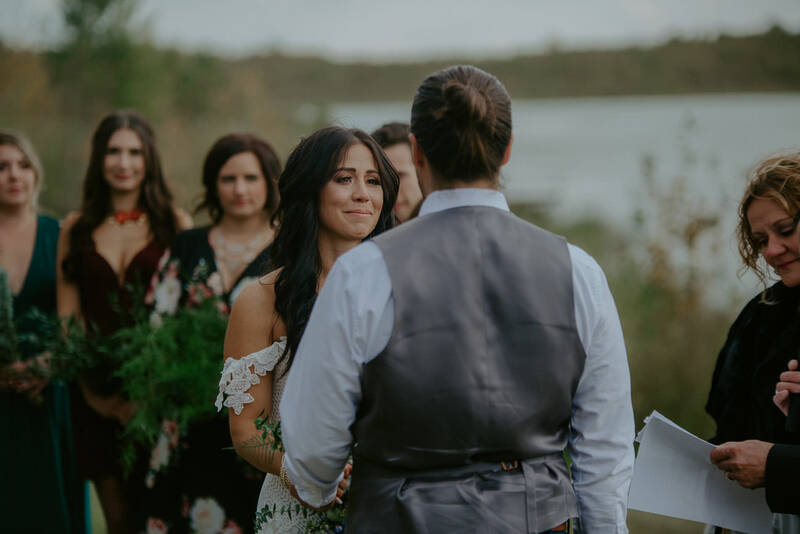 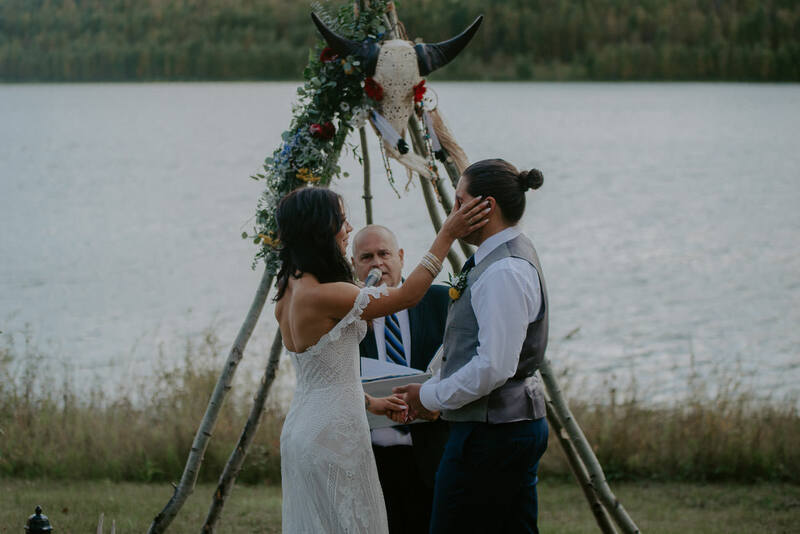 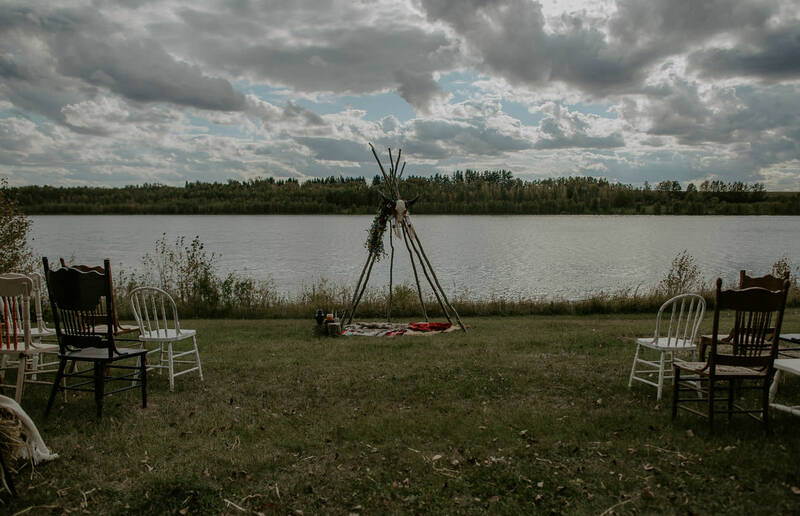 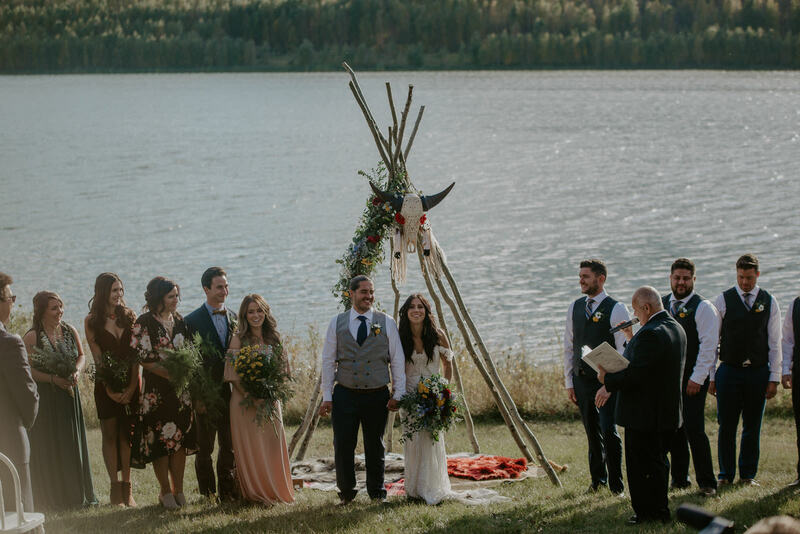 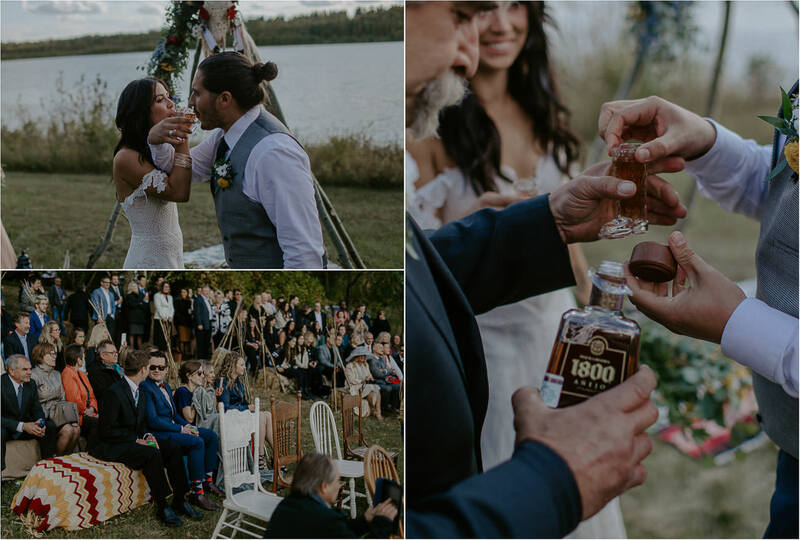 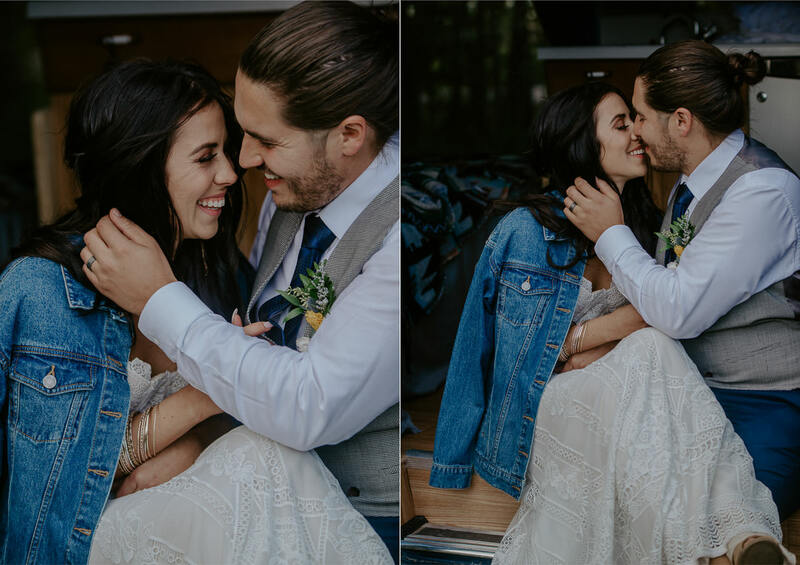 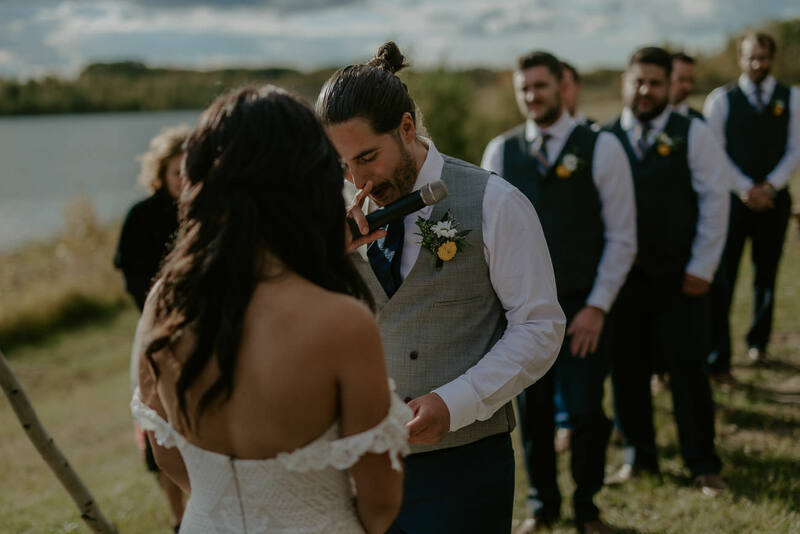 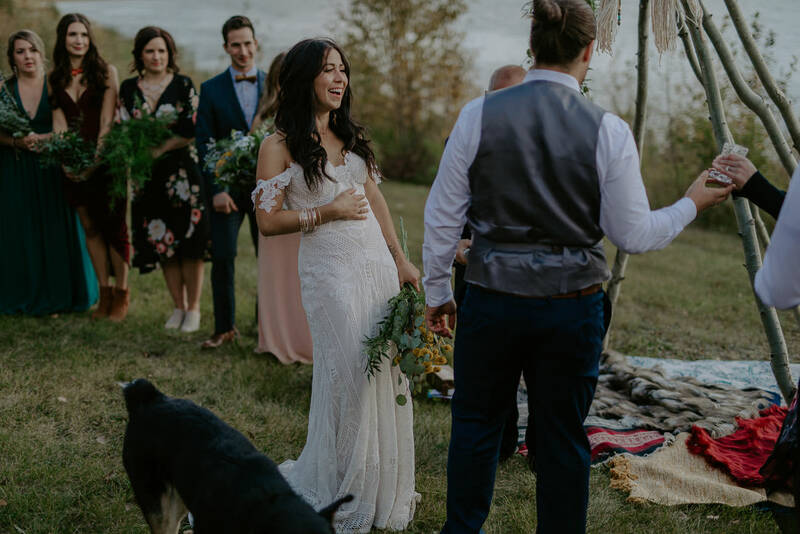 Their outdoor ceremony overlooked the lake and featured a mismatched collection of wooden chairs and straw bales covered in blankets as seating for their guests. 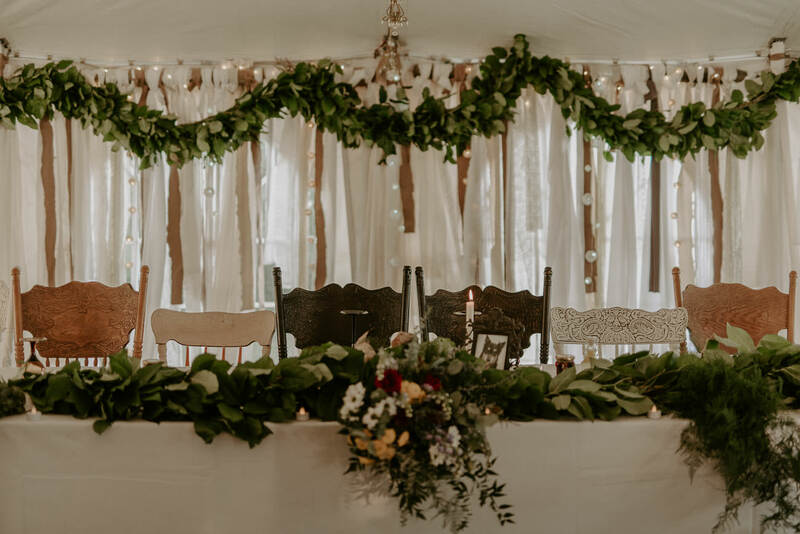 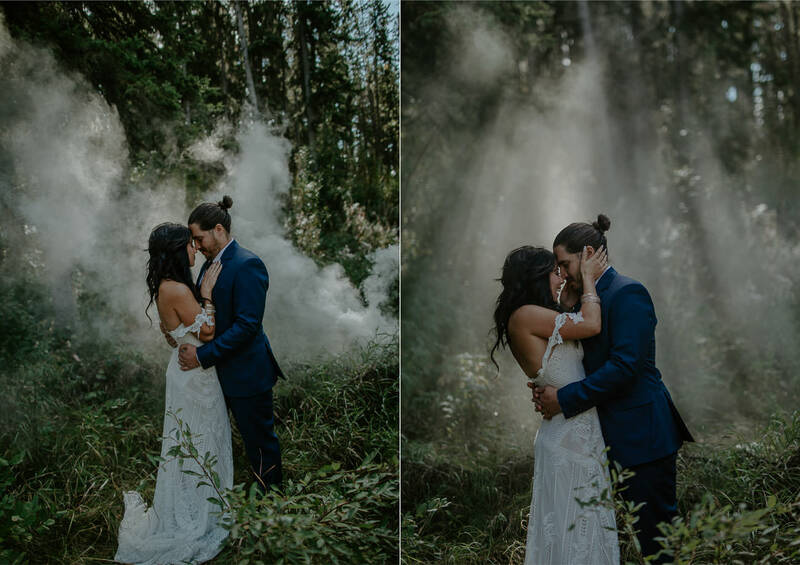 The design of the backdrop for the ceremony was so original, so uniquely them, and was a perfect mix of vintage touches and boho rustic. 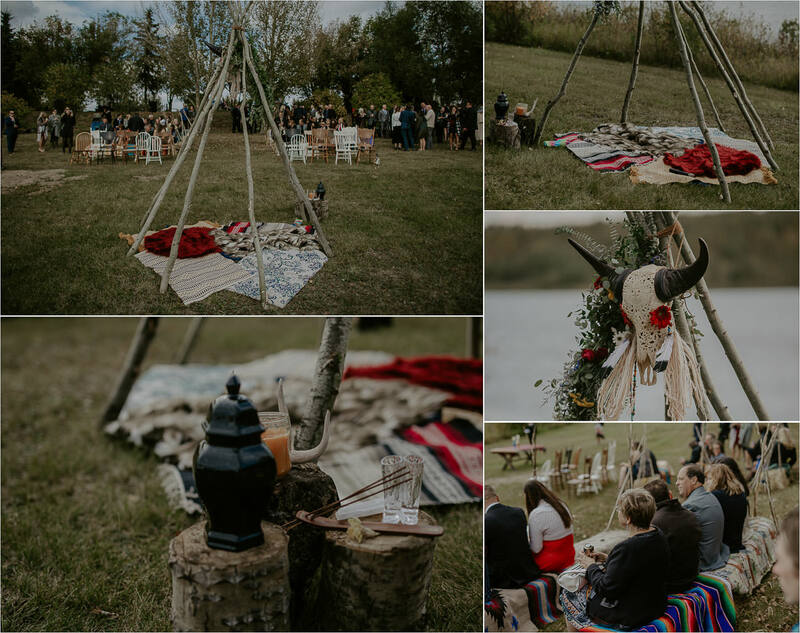 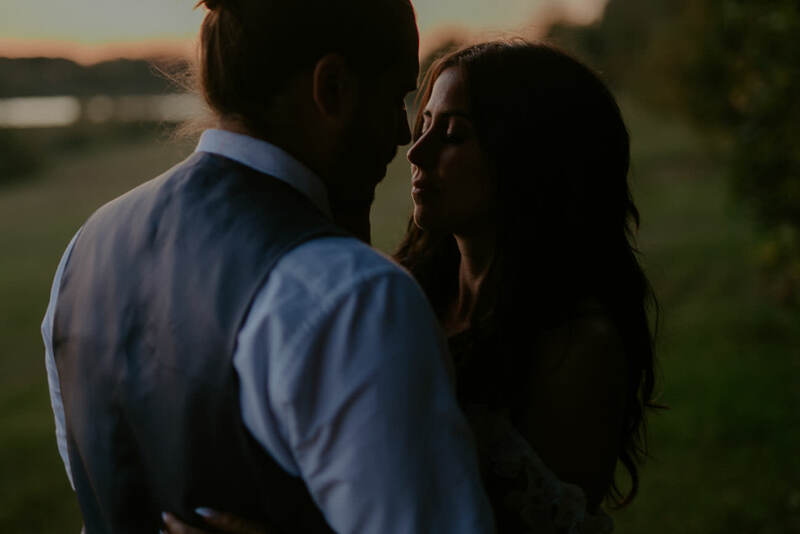 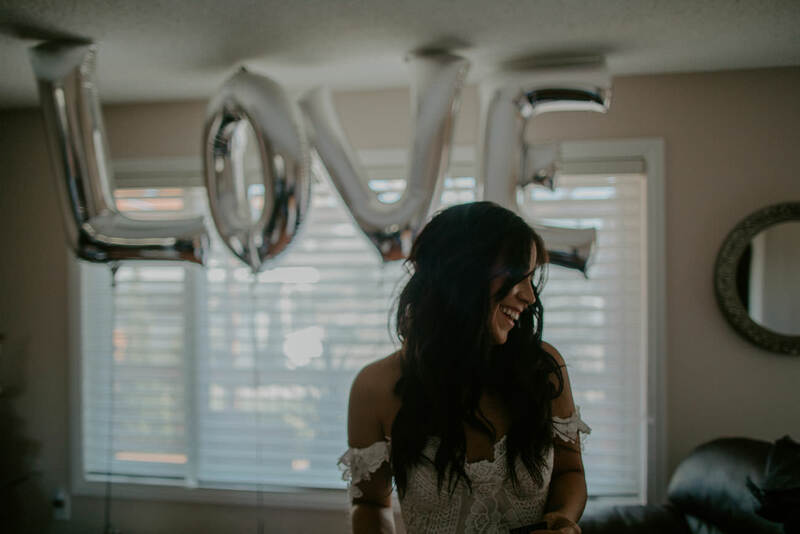 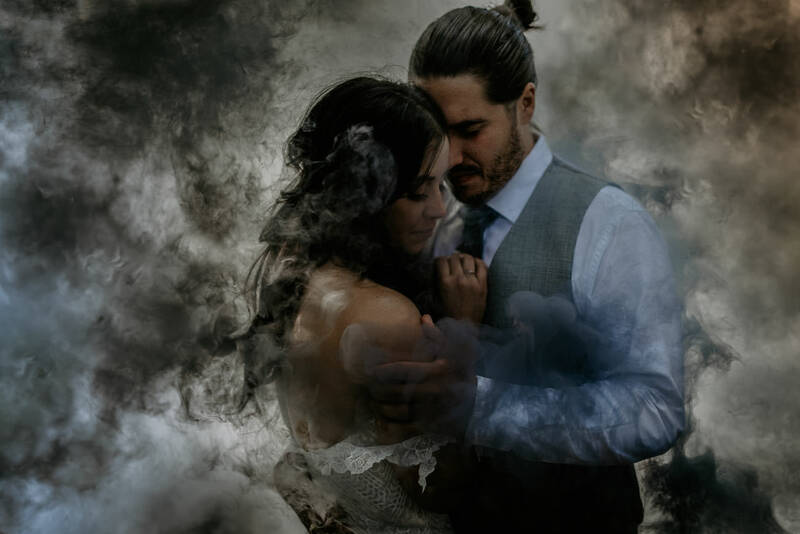 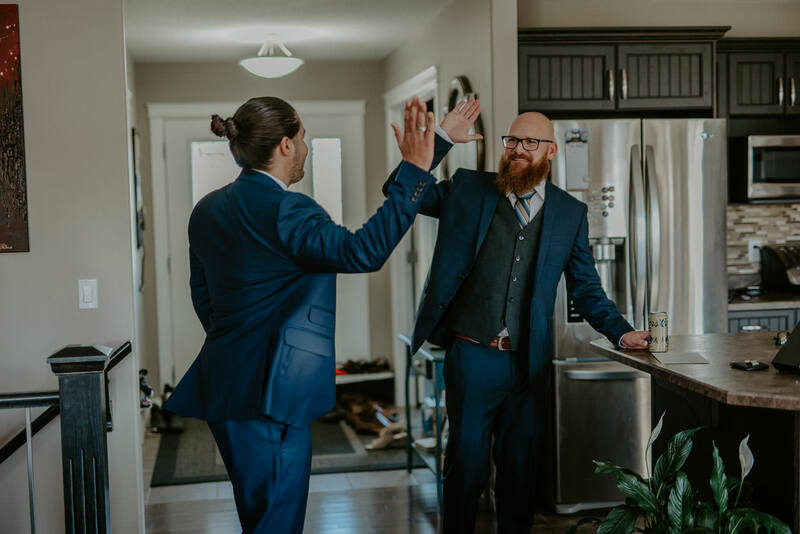 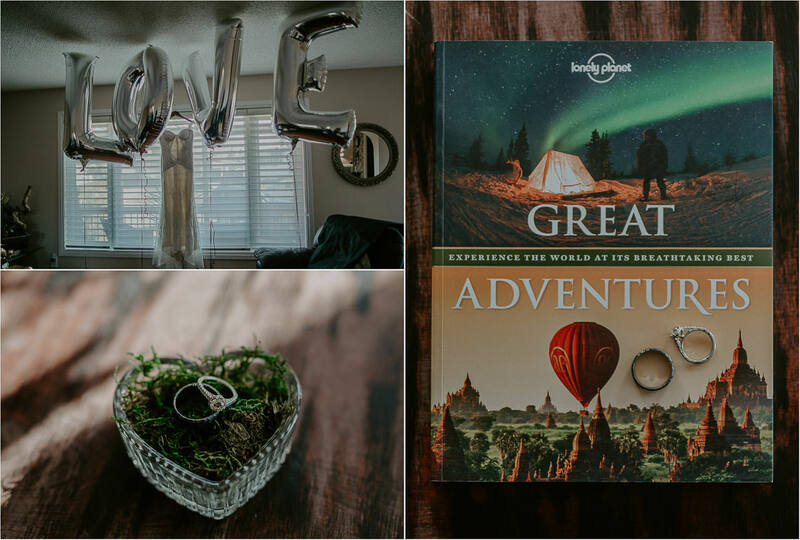 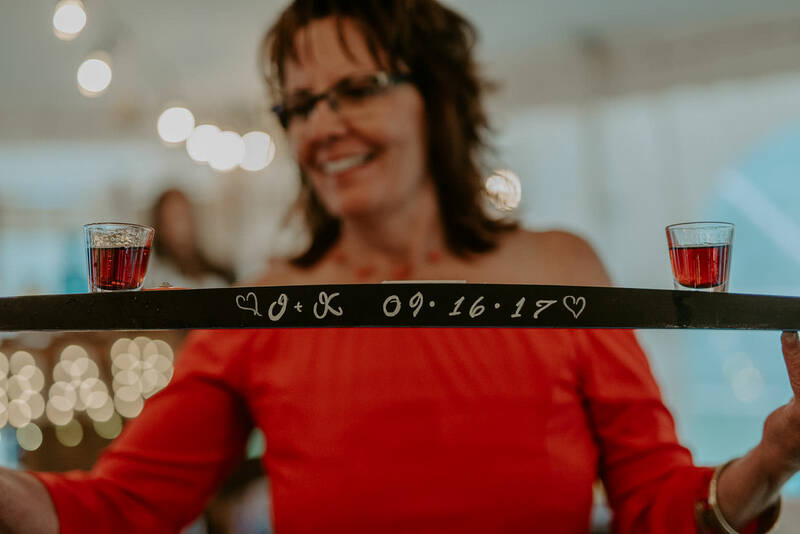 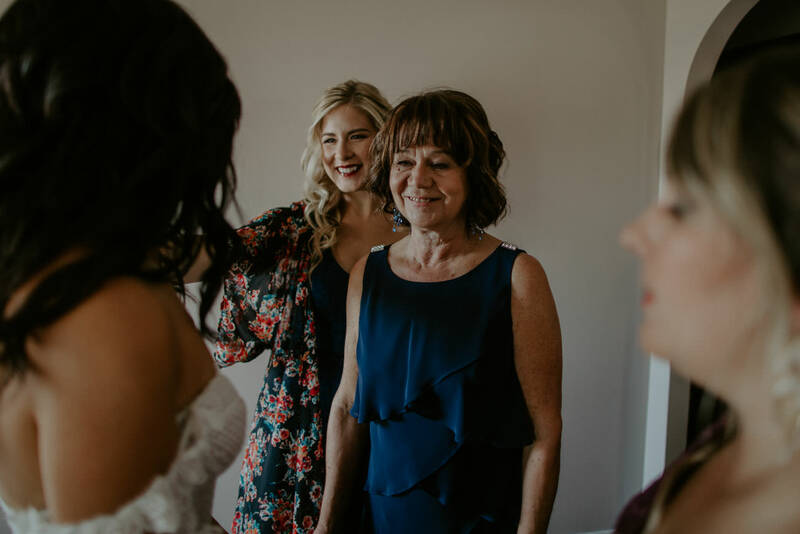 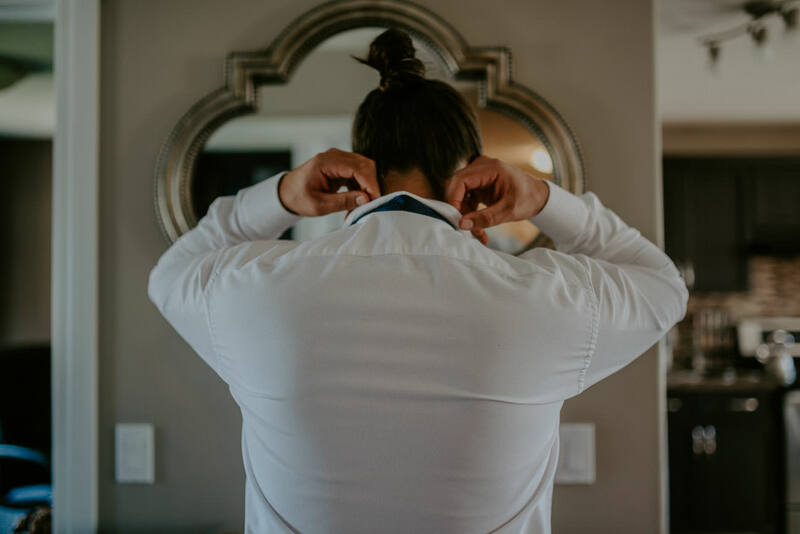 And yet, despite all the amazing design and decor, what stands out most is how warm and wonderful this couple was, and how they chose to think about their wedding day. 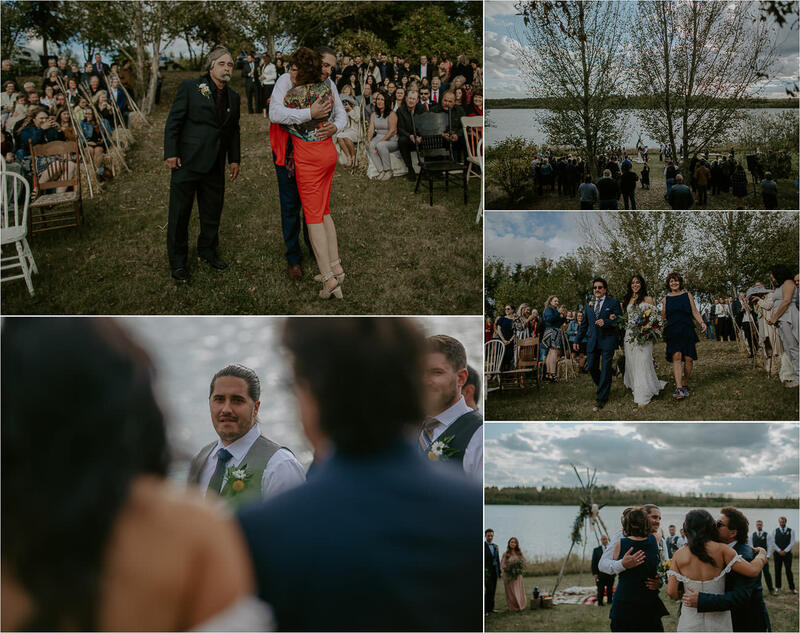 I mean, these two really knew what mattered most, and talking afterwards it was clear that the ceremony and the significance of joining their lives together was the single most important part of the day…followed closely by being able to celebrate with their cherished friends and family.